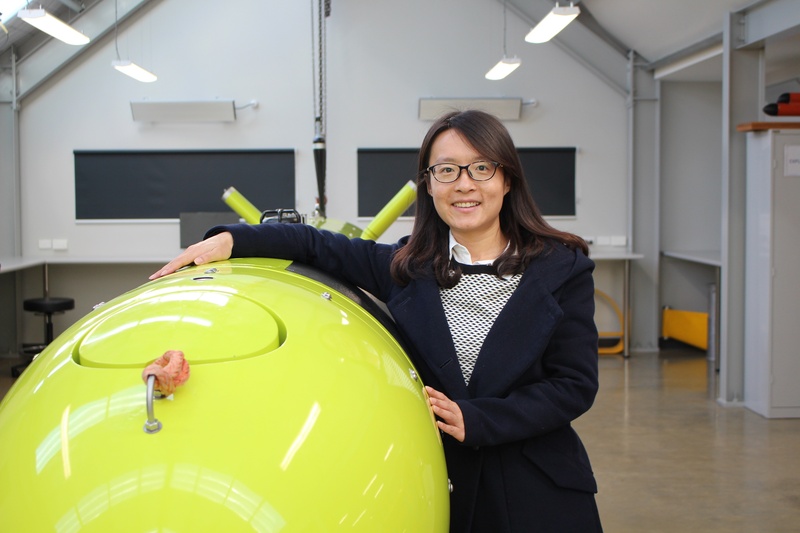 New lecturer and researcher Dr Shuangshaung Fan wants to see autonomous underwater vehicles fulfil their potential and contribute more to society. We spoke to her about being inspired by visionaries — and why she needs students to share her enthusiasm. 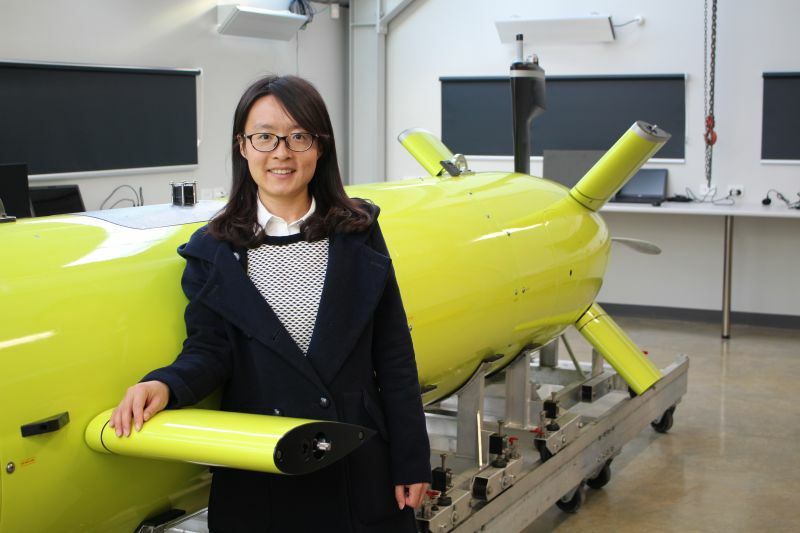 My research focuses on exploring the ocean using a robot that looks like a small submarine, called an autonomous underwater vehicle (AUV). Together with other AUV researchers and engineers, I want to make these robots intelligent enough to tell us even more about the ocean. The real ocean is so much more interesting than it's depicted to be (even in Finding Nemo! ), and AUVs can help us discover it. I want to make these robots intelligent enough to tell us even more about the ocean. What drew you to work in this field? As a child I enjoyed physics. Physics helps explain lots of things about the world around us, like motions and forces. During my studies I worked with underwater gliders, which are a type of AUV. At first it was just work, but then I read a paper published in 1989 called The Slocum Mission. In this visionary paper, the now-famous physical oceanographer Henry Stommel depicted a World Ocean Observing System using a fleet of small, neutrally-buoyant floats called Slocums for physical oceanography study. In under ten years, the first gliders in the world were built and deployed. Since then, most of Stommel’s predictions have come true, one by one. This story told me that — with great effort — visions can be realised, and it piqued my interest in ocean engineering; I want to be the person that helps implement a vision like Henry Stommel’s. What were you doing before you came to AMC? I’ve spent over eight years working on autonomous systems for AUVs, underwater gliders and satellites, including design, simulation and field trials. 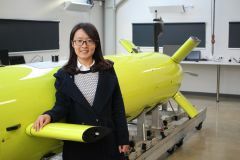 Most recently, I worked as a post-doctoral research at Zhejiang University in China, where I spent two-and-a-half years working on project that trialled AUVs docking with an underwater station connected to power and communication infrastructure for things like charging and transmitting data. What interests you the most about working with AUVs? It’s very exciting when you can see the autonomous capabilities of the vehicle – when it moves in the way you expect. It’s really fulfilling to see the AUV doing what you want it to do, but by itself. The unpredictable marine environment. Avoiding the risks and obstacles that AUVs can encounter during their missions is a big challenge. What developments can we expect to see in the AUV field in the coming years? Definitely greater autonomy, which will mean the vehicles can do even more by themselves. AUVs have so much potential to contribute to society — such as searching the depths of the ocean for missing objects. I’m sure that the AUVs of the future will accomplish so much that everyone will have heard of them! What do you want to achieve in your role at the university? Ultimately, I want more and more people to contribute to the AUV field and help build the AUV’s autonomous capabilities. As such, I’d like to attract students to work with AUVs. In the classes that I teach, I want to share my experiences with the students and hopefully inspire them to research in the field. I hope they can join me in my enthusiasm – because we need their efforts to realise the potential of the vehicles! The Australian Maritime College has such a strong AUV team, both in terms of the people and the powerful vehicles. The team inspires me because they are ambitious and want to innovate. I feel lucky to work with them, and I hope that we can complete interesting and ground-breaking missions together. The Australian Maritime College has such a strong AUV team both in terms of the people and the powerful vehicles we have. The team inspires me because they have big ambitions and want to innovate.